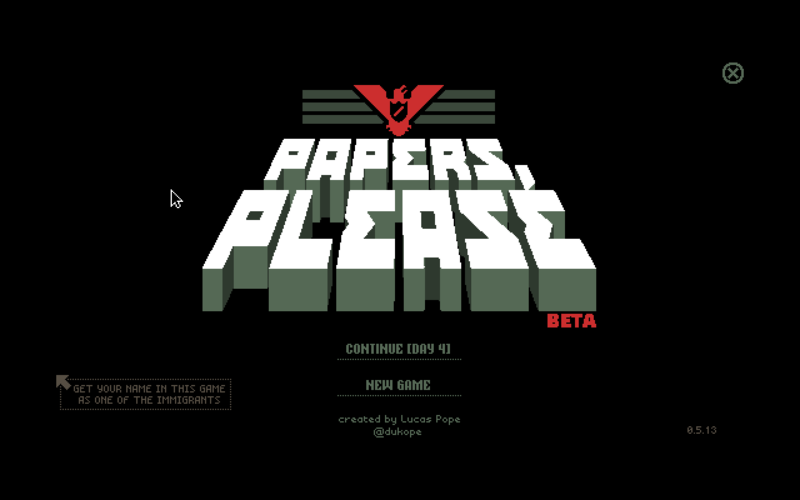 I haven’t had a chance to do much other than writing academic papers, but I did manage to try out the Papers, Please Beta. You can buy the full game on Steam for $10. The beta is available for Mac and Windows, which only shows the tip of the iceberg for great avenues of storytelling. It reminds me of those times I sit in a traffic jam, wondering about the lives of all the others stuck with me. We are all coming and going somewhere. The gameplay is straightforward and conceptually simple, but the narrative exploits our curiosities of the lives of strangers. 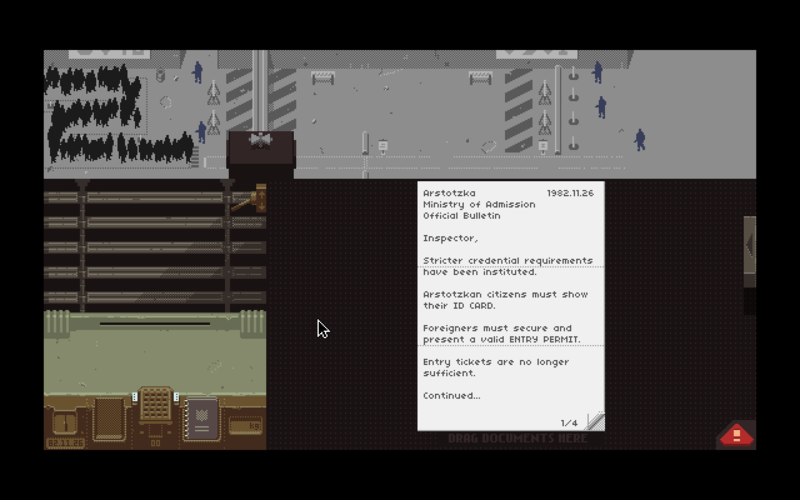 Before playing, it helped to watch some youtube reviews of the game. Nerd3 captured the experience well, giving a play-through of the first three days on the job– each day a new round. You control the fate of these people, while expected to provide for your family. Everyone has a story to tell. Nerd3 also made a great comparison with the mechanics and themes of the Phoenix Wright series. 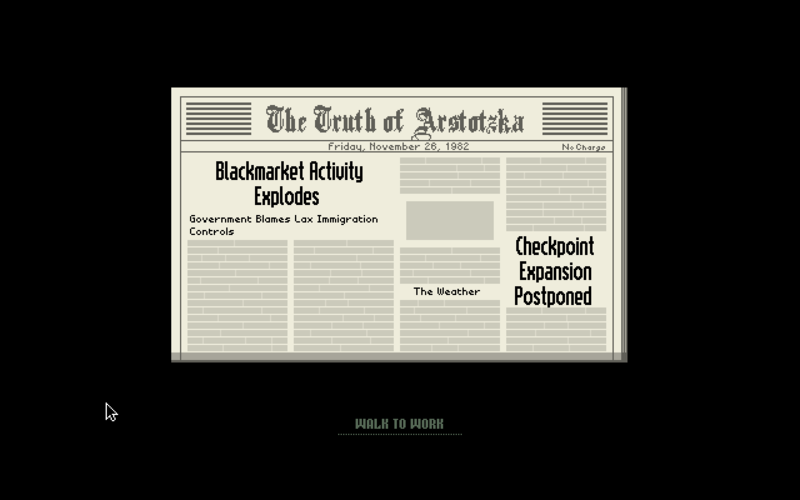 Papers, Please uses some standard detective mechanics, giving you puzzles to reason through while racing against the clock. Personally, I like it for the way it connects people together. Storytelling is a powerful tool. 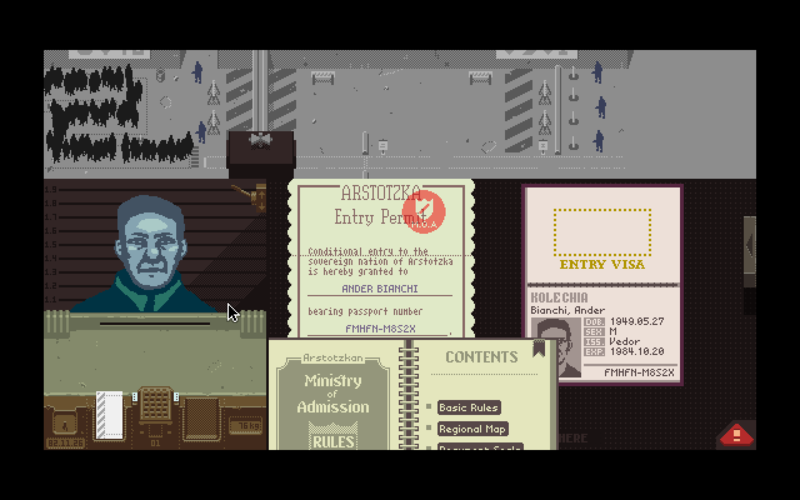 Tags: communism, dystopia, game, game review, immigration, papers please, serious games, steam, storytelling. Bookmark the permalink.